The Campaign wins top marketing award! 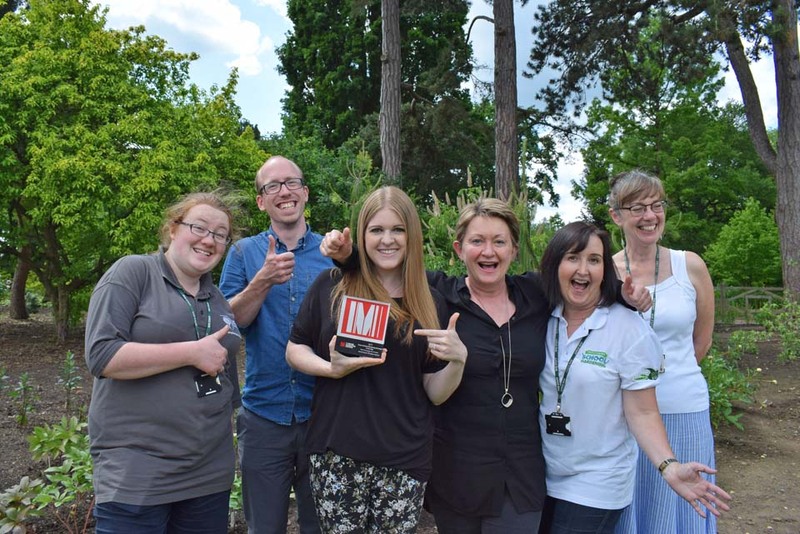 On Tuesday 30th May, the RHS Campaign for School Gardening and UK Space Agency were awarded Cause Related Marketing Strategy of the Year for our Rocket Science project at The Drum Marketing Awards 2017 – our most prestigious award yet! The amazing accolade was presented to our team at a sparkling awards ceremony at the Park Plaza Westminster Bridge Hotel in London surrounded by over 600 people from some of the biggest marketing agencies and brands from across the world. Cause Related Marketing Strategy of the Year, a category that celebrates the most creative and engaging partnerships between charities and businesses, was one of the busiest in this year’s awards with 12 finalists up for the winning title. We fought off competition from big names including Macmillan, Vision Express and Johnnie Walker to be crowned joint winner alongside Engine, a global marketing and media agency who created a highly successful campaign for NHS Blood and Transplant. The Drum Marketing Awards are renowned within the industry and celebrate the best marketers and campaigns each year. For the first time ever, this year the entries were opened up globally to advertising agencies, in-house marketing teams, design consultancies, digital agencies, PR companies and integrated agencies from across the world. We are delighted to have won this award and so grateful to everyone who helped us take it to stratospheric heights! This is the second award we have received for Rocket Science; earlier this year we scooped Marketing Campaign of the Year at the Education Resources Awards 2017.